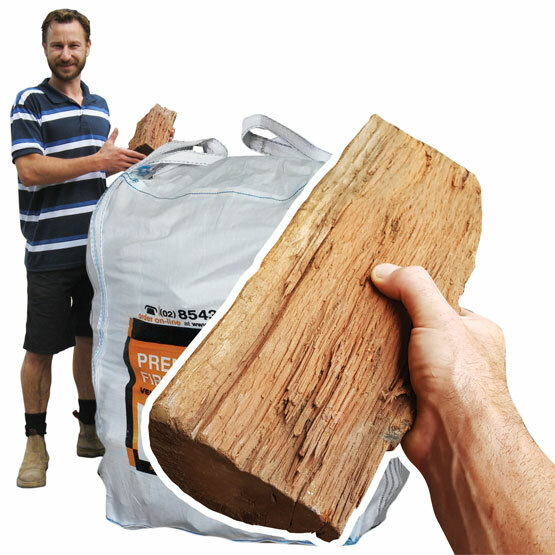 Firewood Sawn Budget Hardwood Offcuts Bulk Bag 400Kg (FAA Approved) : BCSands Online Shop - Building and Landscape Supplies, we supply Sydney's best! 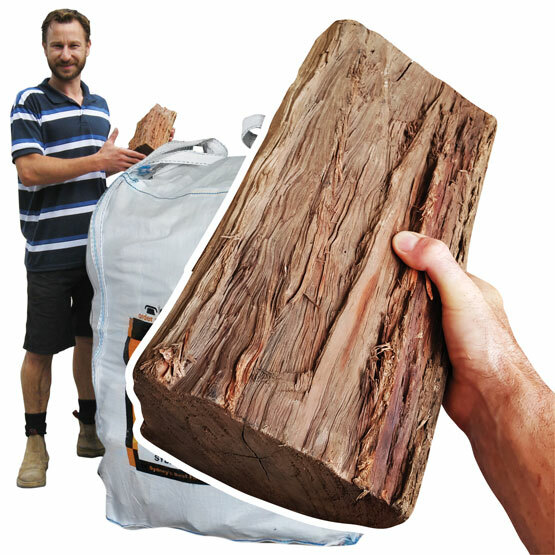 Bulk bag of sawn hardwood offcuts, with a mix of different types of hardwood, all fully seasoned and ready to burn. Cheaper firewood, but still 100% hardwood, including at least one third ironbark, with the balance being other hardwoods, including box and grey gum. 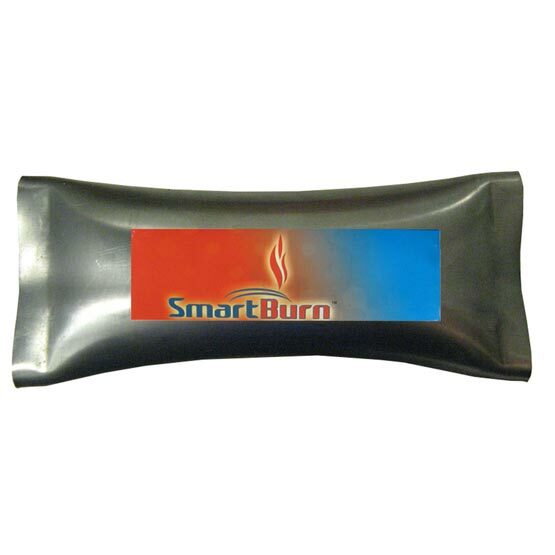 Very helpful size to use when building your fire. 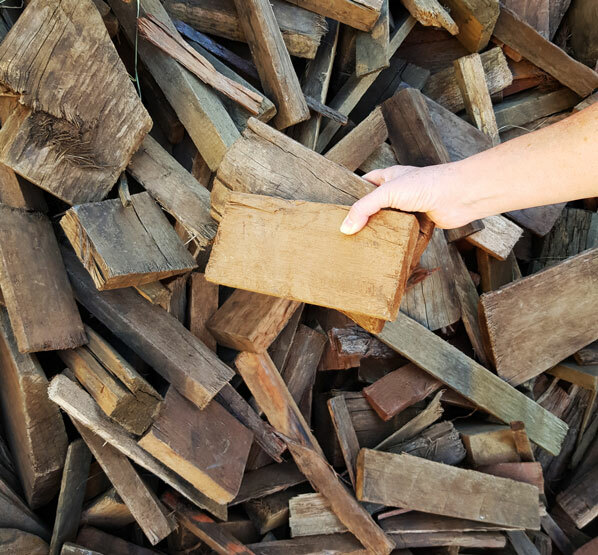 The wood has been screened to remove as many chips of bark and wood residue as possible and has Firewood Association of Australia (FAA) approval for optimum burning. Our firewood is delivered in bulk bags, measuring 900mmx 900mmx1200mm, which are delivered by crane truck to where you need them. 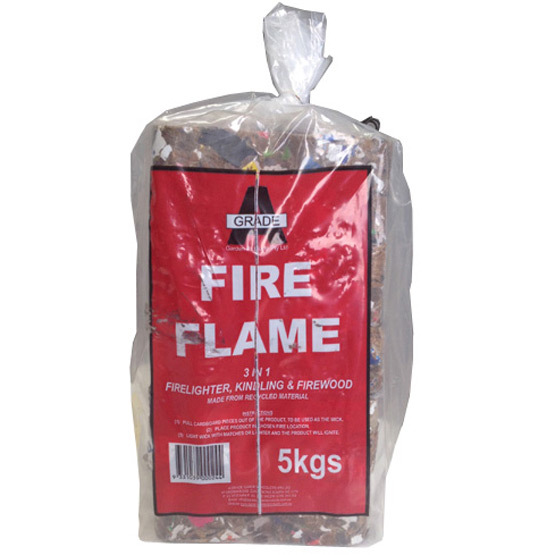 Bulk bags are ventilated to keep your firewood in perfect condition until you burn it. Bags can be used for storage or as askip bin bag. Our crane trucks are small enough to fit down most driveways and have a reach of three metres. Larger crane trucks with a reach of up to 21 meters are available at extra cost.